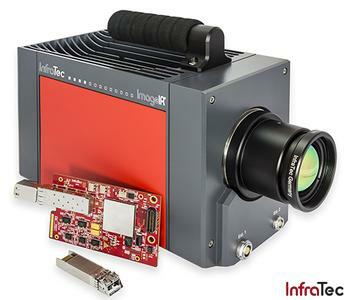 InfraTec has developed a 10 GigE interface for the thermographic camera series ImageIR®. This means high-speed imaging allowing microsecond exposure times that freeze the apparent motion of dynamic events. 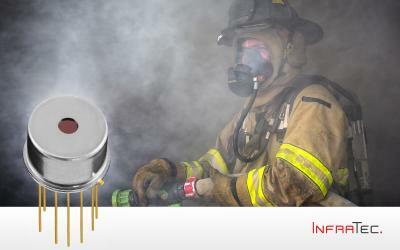 Large-sized detectors are one of the vital components of high-resolution imaging when it comes to the capability of thermal imaging cameras. Rarely able to demonstrate their full potential in practice because the data transfer rate limitations of conventional interfaces. They have restricted users who want to utilise high frame rates at full screen modes during dynamic measurements. The new 10 Gigabit Ethernet interface (10 GigE for short), transfers data ten times faster than a GigE interface, setting new standards. 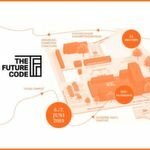 A network card with FPGA is behind the increased speed, acting as the communication centerpiece of the high-end camera series and replacing the previous GigE module. The connection between the more developed models of ImageIR® and the computer is made using special 10 GigE transceivers (SFP+). They support data rates up to 10 Gbit/s. A look at the ImageIR® 9300 shows what all of the components can achieve in cooperation. Its detector of (1,280 × 1,024) IR pixels and 106 Hz speed uses its complete potential in full screen mode. The same power is available on laptops by using a Thunderbolt adapter. A corresponding standard SFP provides a bridge between camera models with 10 GigE and computers with standard GigE ports. This is automatically recognised by the camera, and ensures the compatibility for data exchange. In addition to the performance boost, the interface offers another decisive advantage. The choice of conductor material affects the quality of data transmission significantly. Thanks to the use of fiber optic cables, a connection is completely immune to electromagnetic interference and can range from several meters to tens of kilometers. A feature which qualifies the models of ImageIR® series for demanding applications in industrial environments. The new interface is now available as an option for ImageIR® cameras. This means current owners of ImageIR® cameras can easily be retrofitted. “The 10 GigE interface brings many benefits," states Marian Kerze, development engineer at InfraTec. "The user can be happy that the use of their camera stays the same. Everything works as before with GigE, but just much faster." 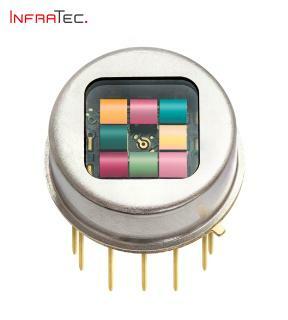 The InfraTec infrared sensor and measuring technology company was founded in 1991 and has its headquarters in Dresden, Germany. The privately held company employs more than 200 employees and has its own design, manufacturing and distribution capabilities. With its Infrared Measurement business unit, InfraTec is one of the leading suppliers of commercial thermal imaging technology. 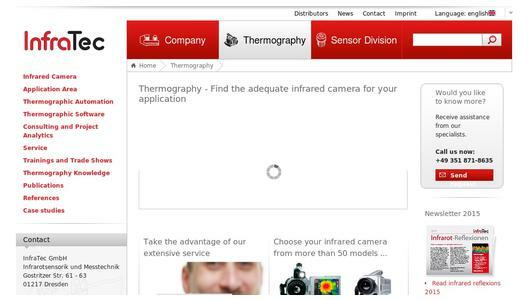 In addition to the high-end camera series ImageIR® and the VarioCAM® High Definition series, InfraTec offers turnkey thermographic automation solutions. Infrared sensors, with electrically tunable filters based on MOEMS, count among the products of the infrared sensor division, next to spectrally mono and multi channel infrared detectors. These detectors can be used in gas analysis, fire and flame sensor technology and spectroscopy.